File photo of one of Progress Energy's solar energy farms. 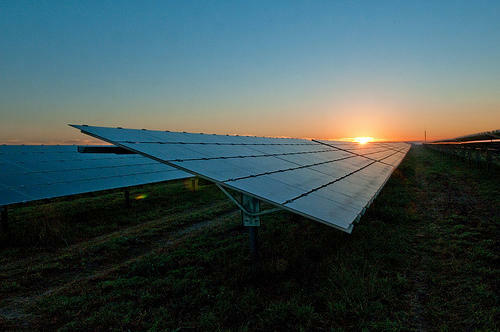 North Carolina ranks 3rd in solar energy growth. 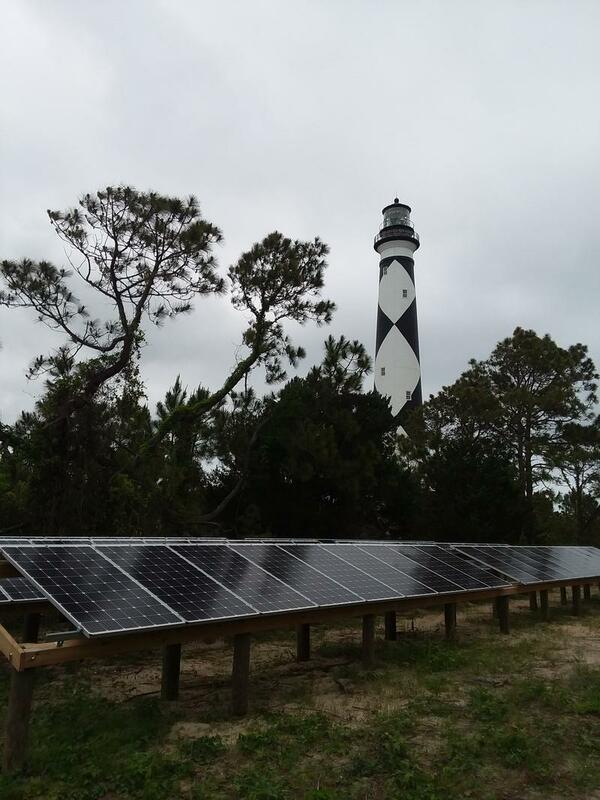 "We've seen an 87,670 percent increase over the last decade in the amount of electricity we get from the sun," said Drew Ball, director of Environment North Carolina Policy and Research Center. "Considering that 10 years ago wind and solar produced around one percent of our electricity nationally, these numbers are pretty amazing. Wind and solar now produce enough electricity to power 31 million homes." Ball and other enviromental and renewable energy advocates participated in a conference call to discuss the report. Adam Forrer, Atlantic region manager for Southeastern Wind Coalition, noted that North Carolina is home to the largest utility-scale wind facility in the region, the Amazon Wind Farm U.S. East, in Perquimans and Pasquotank counties. "That project represents $520,000 in annual tax revenue, $624,000 in annual landowner payments and during construction the developer, Avangrid, invested $18 million locally," Forrer said. But according to the new report, North Carolina ranks only 30th in wind energy growth. A Republican-backed moratorium on wind farms in the state remains in place until December. Jennifer Mundt, energy director with the state Department of Environmental Quality, said investing in renewable power sources has more than just economic benefits. "In many regions of the country, wind and solar power generation are now cheaper than many fossil fuels," she said during Tuesday's conference call. "These cheaper costs do not even take into consideration or account the environmental benefits that are associated with the deployment of clean energy technology." North Carolina ranks 17th for the number of electric vehicles sold and 13th for improvements in electricity energy efficiency.